By Fr. Angelo Anthony, C.PP.S. Last week Jesus challenged the disciples by telling them, “If you want to be great you must be the servant of all.” He then embraced a child and said, “If you receive a child like this in my name, you receive me.” Even though the culture of the time saw children as having no rights or status under the law they were precious in God’s eyes. 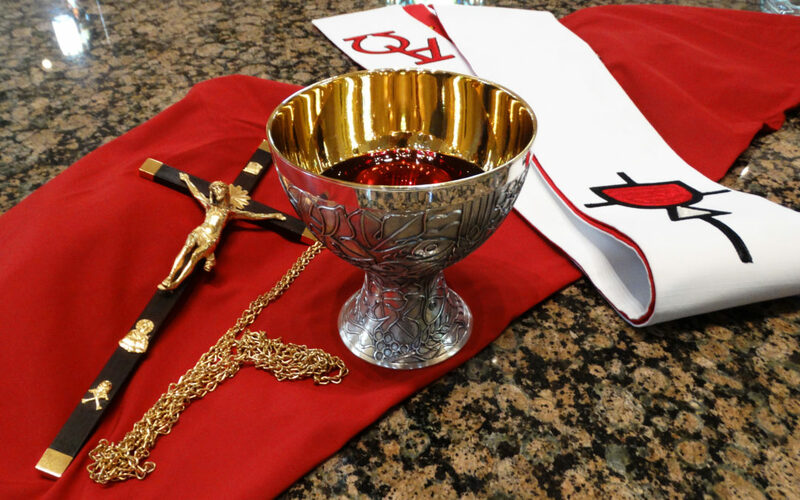 The Precious Blood of Christ reminds us of the dignity of each person as a child of God. As the disciples found out, it is not just a select few who will carry out God’s plans. When someone is different from us we may say, “If you are not with me you’re against me.” Jesus looks at it from another perspective, “Whoever is not against us is for us.” The Holy Spirit can and will work in people very different from us who are none-the-less instruments of the heart of God. So what kind of witness will you be to children and the child-like? There are “little ones” young or old who are weak in faith or still learning what it means to be a child of God. They can easily be led astray by our way of living. Our bad example can be a poison that destroys the innocence of another person thereby leading them to sin. Those of you around young children know how easily a child picks up new words, even the foul or hurtful words we sometimes use. It is important to monitor our language, get rid of gossiping and excessive criticism, steer clear of lying or inappropriate use of the internet so that we do not unknowing lead children astray. To live the gospel is serious business. To make this point, Jesus uses some very explicit language like plucking out your eye or cutting off you hand if it leads you to sin. He is not supporting the mutilation of our body. Rather, by using the technique of a hyperbole Jesus is emphasizing the seriousness of sinful behavior or scandal. Could Jesus say to us, “You say you are my followers, but your behavior shows something quite different? If so, it is a wake-up call for us to get back in step with the Lord. St. James reminds us that material possessions fade away but the love we give to one another lives forever. The cry of hurting humanity, the cry of the blood of those abused or abandoned, reaches the ears of the Lord of host. Will we respond as part of the solution or part of the problem? When it comes time to replay the story of your life what will you see? Today is the day to make a choice to serve God generously through the relationships and chance encounters you experience each day. What is the hook, the thing that trips you up in life? Identify it and keep working to get rid of it each day. Through the Precious Blood of Jesus, we are to be the cause of grace and not disgrace in the lives of others. We are to be the fulfillment of the dream of Moses that all people would be prophets of the Lord. Blood of Christ lead us to life! Fr. 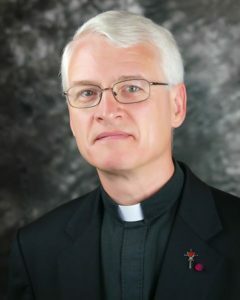 Angelo Anthony, C.PP.S., is the pastor of the Dayton Region Seven parishes, which include Emmanuel, Holy Trinity and St. Joseph.